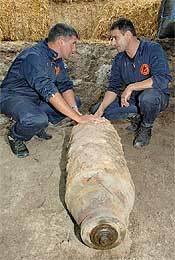 The city of Nantes found a second war world bomb in "quai de Tourville" on 11 Septembre. They have evacuated the residents within 250km since 7am this morning. By 12.10pm, they managed to neutralised the bomb. Since then the residents are allowed to go back to their houses.